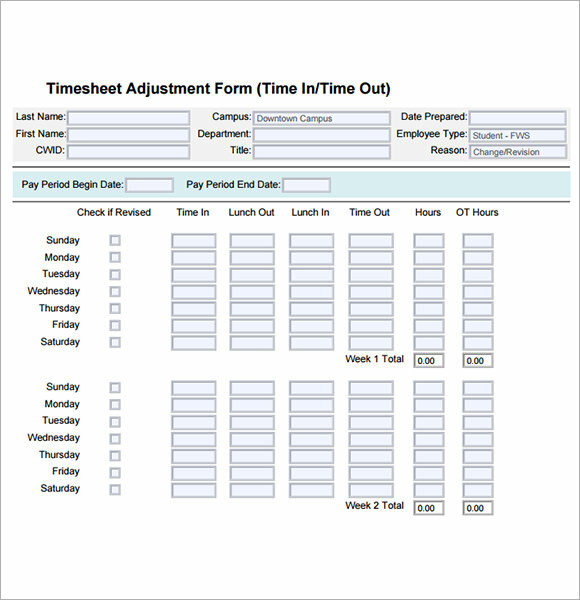 The employee timesheets are designed in any organization to maintain a timetable for the employee. You can allot and track time for tea-breaks or lunch breaks with a standard timesheet in place. 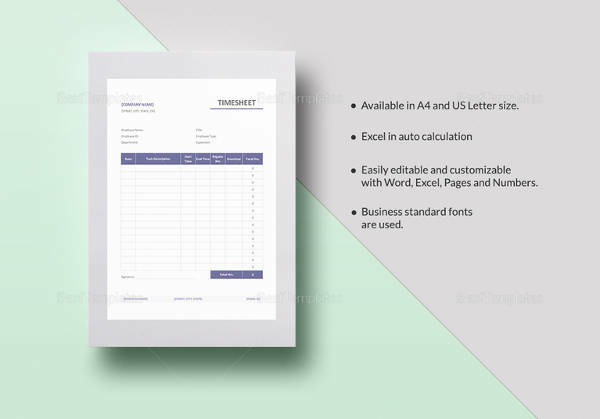 The Timesheet Templates is maintained for complete work week or separately for all the days differently if the employee has been assigned different roles. The employee timesheets save a lot of time and ensure that nobody sits idle for long hours at workplace. The efficiency of any organization can be increased by dividing a time slot for every team and employee. 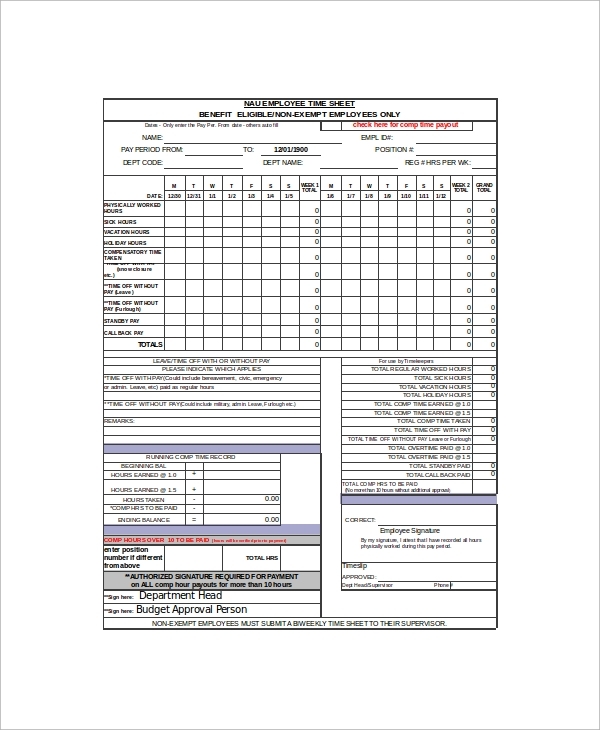 They can easily look for increments using these sheets in the form of overtime, under time, holidays, time in and time outs that can be recorded and observed. The monthly timesheet can be build up for any new or existing employee to provide him work as per the schedule. This is how the employee can also check up for days when he can take leaves on days when the company will be least disturbed by his absence. 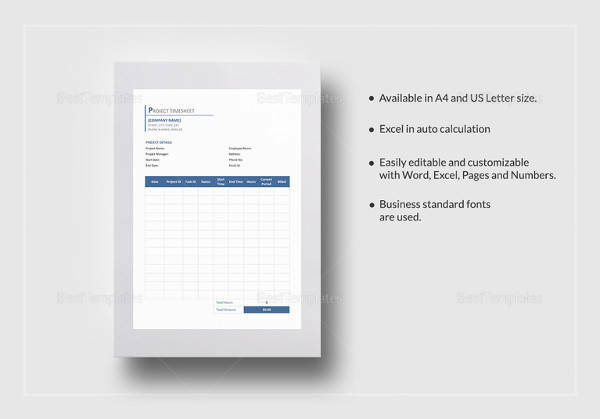 The excel sheets are designed very easily and can be maintained in an accurate manner. 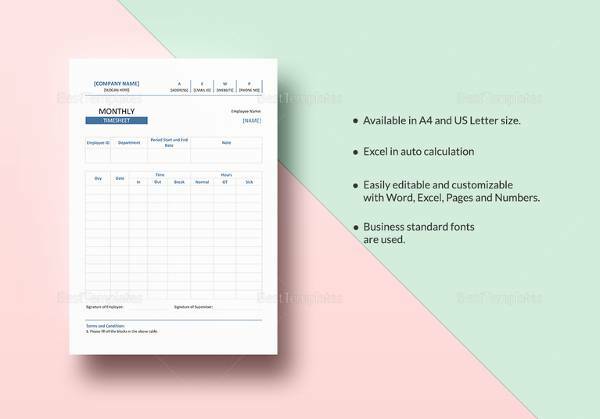 The excel sheets are used by employers to keep a record of the timeslot for all employees starting from the entry time, break durations, slots, exit time, holidays and so on so that the average time in the company spent in a month can be counted. 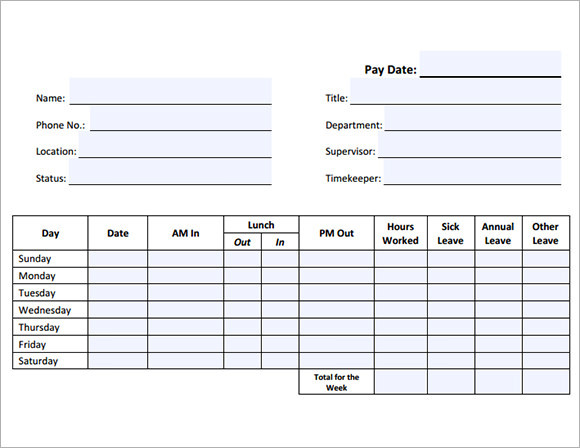 These templates are used by companies to calculate the hourly pay rate for employees. 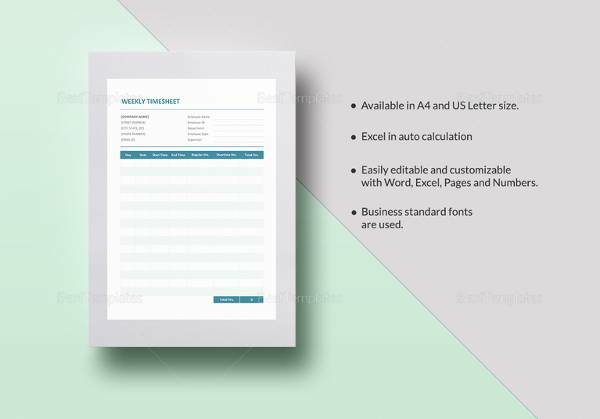 The weekly average time spend at workplace can also be calculated or averaged by using these templates and the employer can decide the holiday rate, increments based on regularity of the employee. There is a lot to be desired from an employee timesheet template. 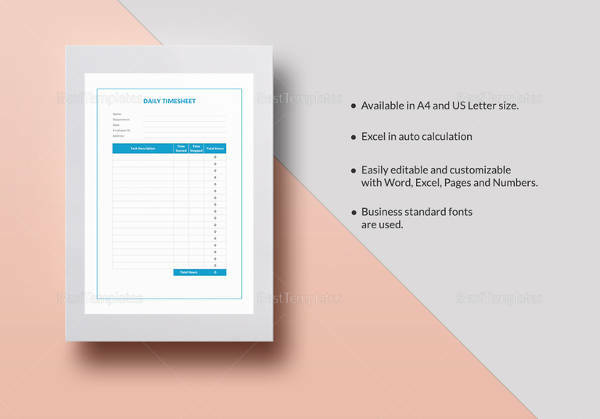 Simplified to help save time, these writing tools are the single most important ones you will ever need to make preparation of daily timesheet templates easy.Keep a clear record of the number of days an employee has to report to work every month. 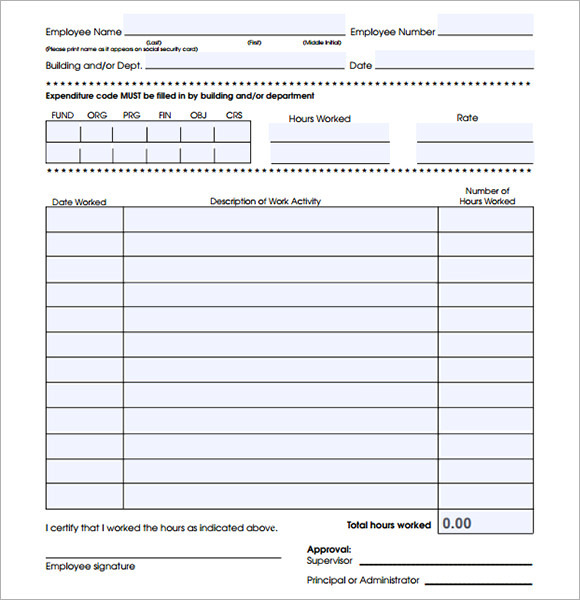 Keep a daily record of the starting time and the end time at work for a particular employee. Keep track of work progress, enabling the management team to assess progress of the employee in question. This can be used for future decision making about a given employee. 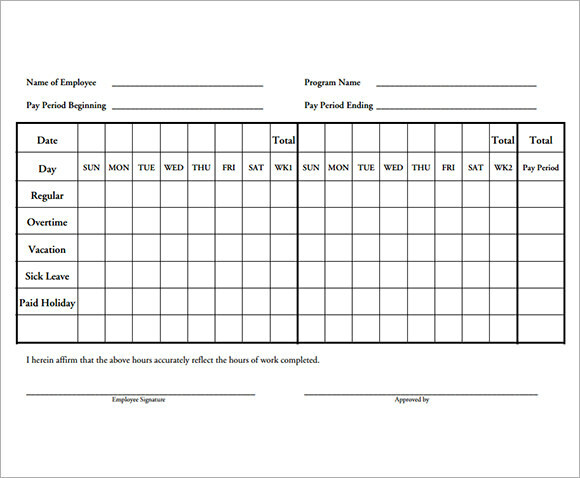 Generates the timecard for employees. Overtime can be easily monitored and paid. Any meeting can be easily managed or organized by looking or altering the timesheet or timetable of the team of employees. You can easily assign new projects by filling the idle spaces in the timesheets. The company can organize stress releasing exercise lessons or fun games by creating a free time zone in the employee timesheet or schedule any meeting. 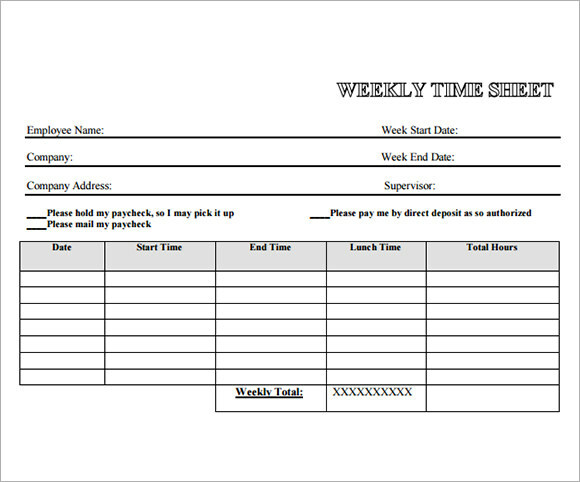 Create a time in and time out slot on each employee’s timesheet. 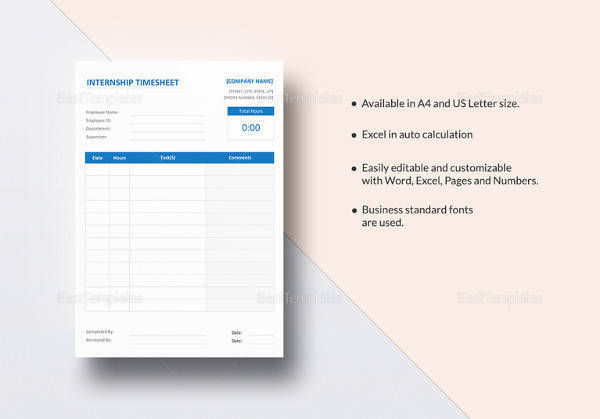 You can easily download customized employee timesheets from our website as we create a client specific sheet with all the extra columns that are required by your company. 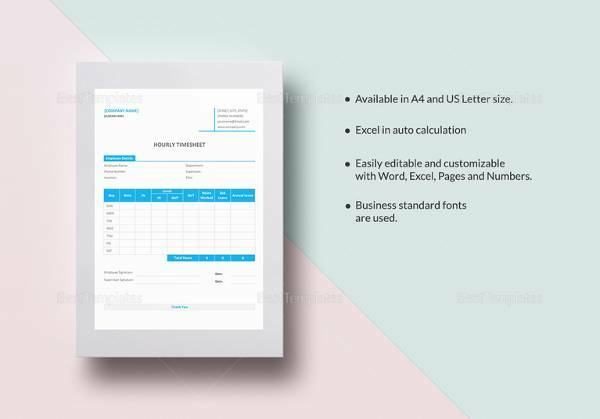 We create templates; excel sheets, word documents, pdf files and all printable form of the employee timesheets for you.